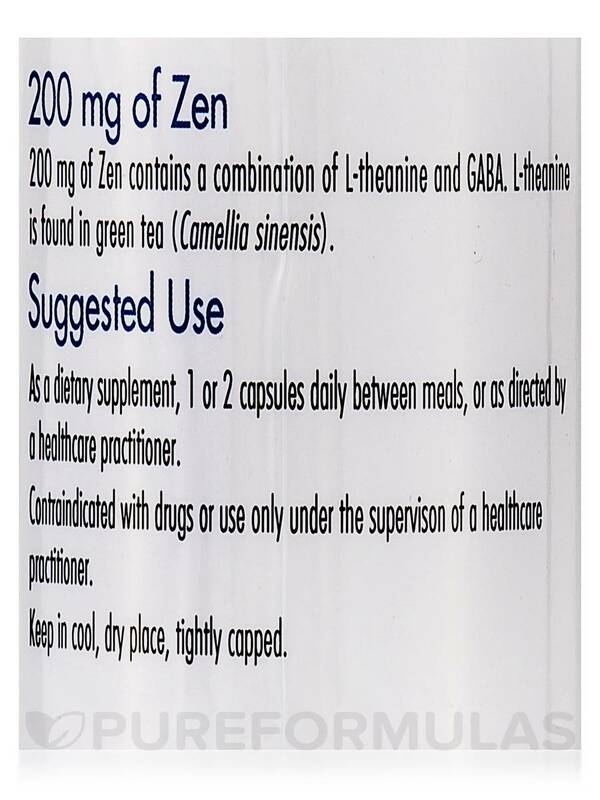 Zen by Allergy Research Group is very good at reducing anxiety and stress hormones. Couldn't live without it! I take Zen by Allergy Research Group every two hours (while awake) for anxiety. I take Zen by Allergy Research Group when my anxiety is working up and this has done the trick for me every time. 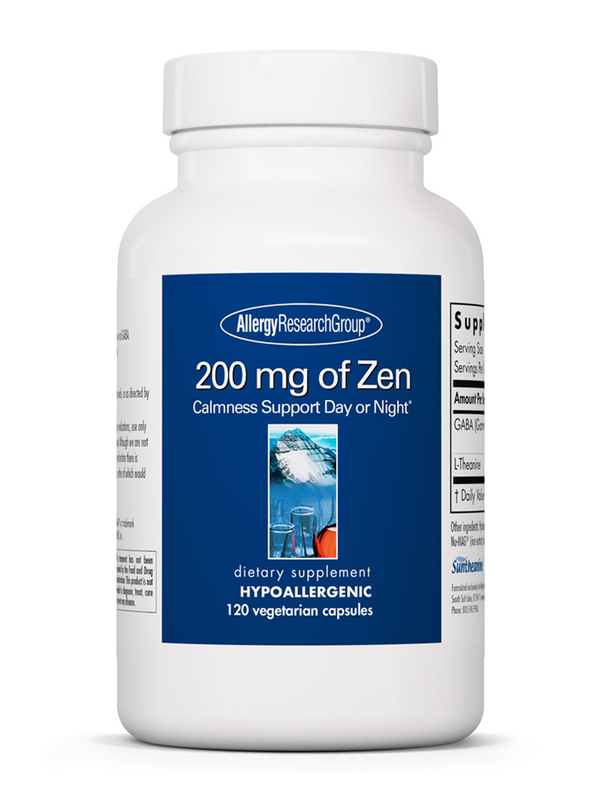 At the recommended of one or two capsules daily‚ each 120-capsule bottle of 200 mg of Zen by Allergy Research Group should last for about two to four months. 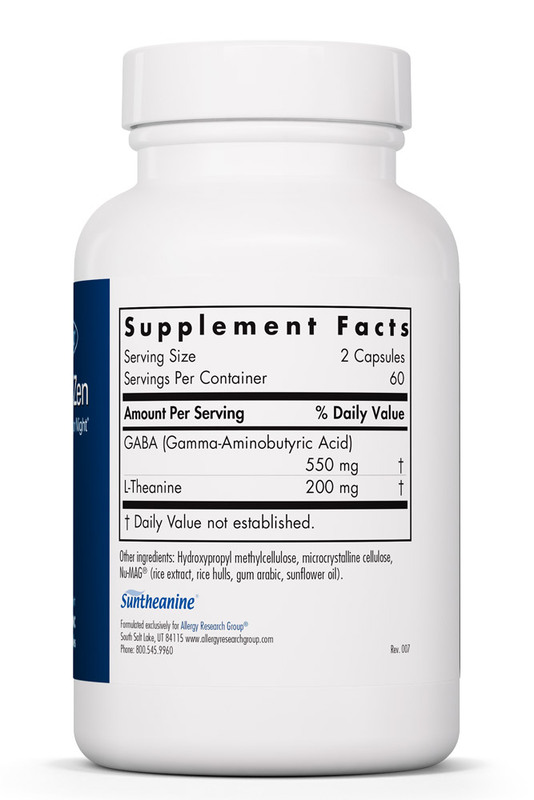 As a dietary supplement‚ 1 or 2 capsules daily between meals‚ or as directed by a healthcare practitioner. Lots of pills to take. Zen by Allergy Research Group is very relaxing. I began taking Zen by Allergy Research Group for over a year ago due to sleep issues. Since I started taking this I am able to sleep soundly for 7-8.5 hours most nights. I take it right before I go to sleep (because my difficulty is staying asleep not falling asleep) and the additional sleep has made a profound impact on my life. I have also found that it is not habit forming for me, and I am able to stop taking it when sleep comes a little more easily. There also is no grogginess for me in the morning. I highly recommend this product to anyone looking for a natural sleep solution! 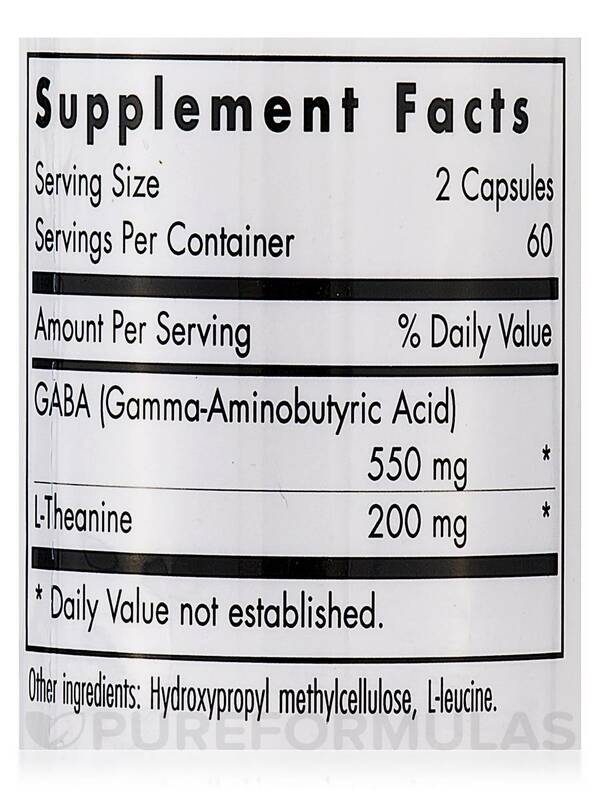 Easy to take, highly effective, no morning grogginess. I use Zen by Allergy Research to wind down to sleep and relax during the day. It helps with both. I have sleep issues complicated by anxiety and depression, but 2 Zen by Allergy Research before bed helps me sleep through the night without morning hangover. 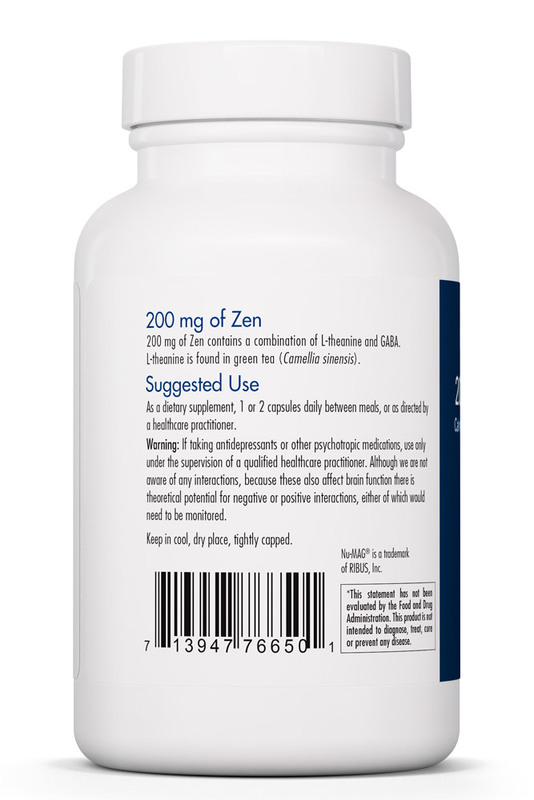 Zen by Allergy Research Group has good quality and works has well for my ADHD! Can this be taken along with Paxil?